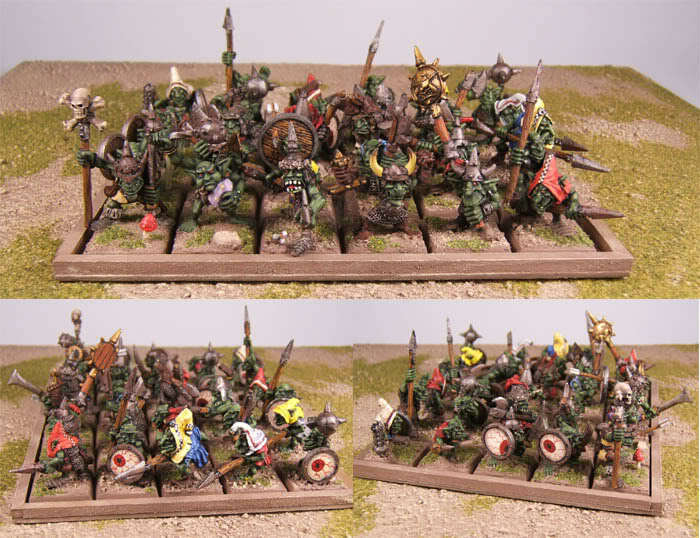 Someone in the OWAC group mentioned not seeing a lot of old metal goblin together in one place, when someone posted a big unit of them. 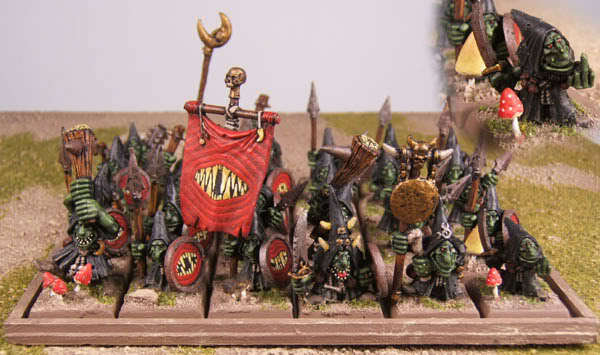 Got me thinking about my old gobbo army. These were some of my favorite minis from it. I don't own them anymore, but I believe most of these units ended up in a friend's collection. 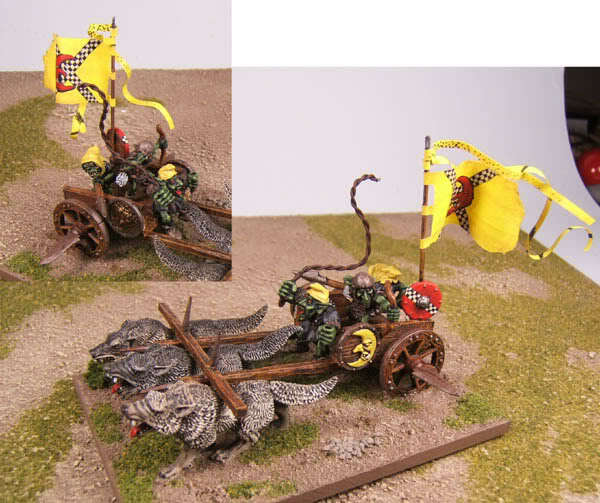 The idea behind the outriders on the old goblin chariots was that the rules allowed for either 2 or 3 wolves. I could represent either option this way. 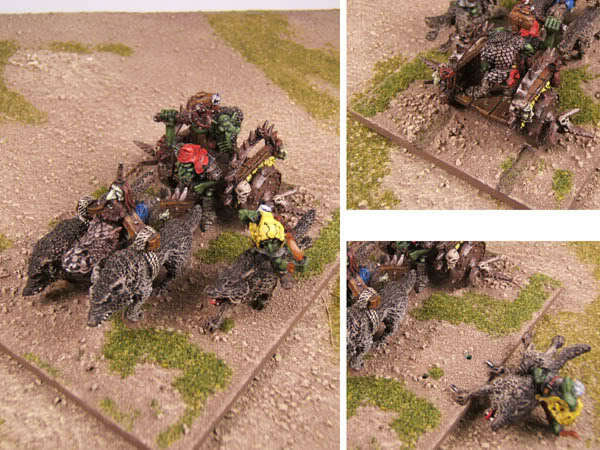 The one with the later plastic wolves was a somewhat roughly scratch build chariot. 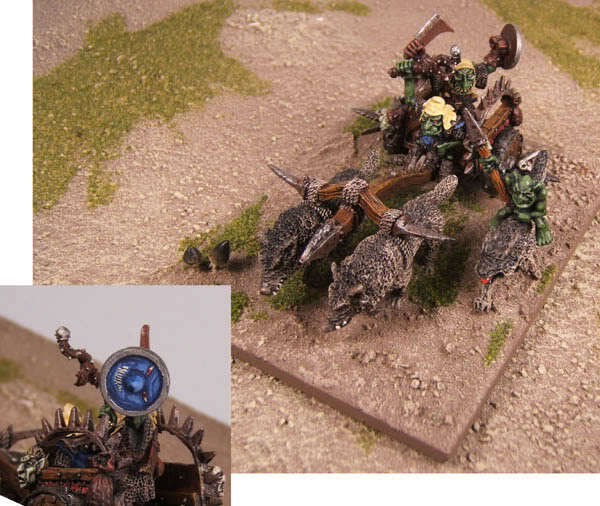 I like the eyeball shields.